This is a Workout! NOT a class! Tyler will NOT be teaching, but will use his skills and experience to guide and direct you! The idea is for you to show up, find a script (or bring some scripts with you), make your choices, get behind the mic and be directed as if it were a real audition. 2 takes and then the next person is up. We will try to get through as many scripts as time allows. Tyler Rhoads is excited about his residency at Compost Productions with The Voiceover Doctor. Tyler is one of the full time booth directors at The Voice Caster, one of the oldest and largest voice casting facilities in the country and we're happy to have him here directing the Thursday Night Workout Groups at Compost HQ. A native of Jefferson City, MO, Tyler studied acting at Missouri State University. His credits range from TV, radio, and internet Commercials to Industrial VO's for companies such as Honda Motorcycles, Radio Shack, Medica, just to name a few. He was also featured in the long form radio drama version of "A Christmas Carol" - winner of a 2012 Parents Choice Award. Coming from a strong theatrical background, Tyler brings an actor's sensibility to his directing and coaching. He excels at working with actors, helping them learn to apply basic acting fundamentals to their reads in order to find strong points of view and make simple, strong and supported choices. Tyler Rhoads is the man that can help navigate you through your reads and make sure that you are on the right path. 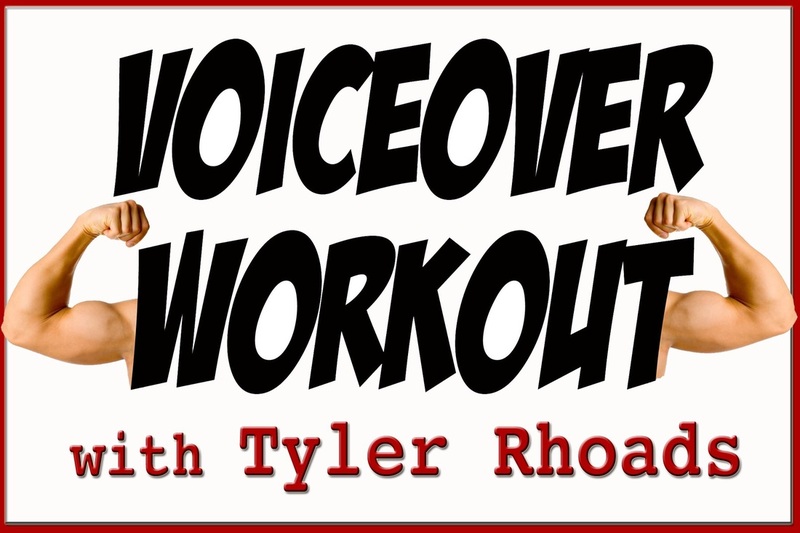 PLEASE NOTE: This Workout is for experienced Voiceover actors ONLY!